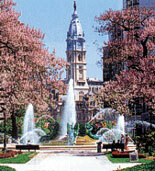 Once the capital of the United States, Philadelphia is home to legendary buildings and sites. While in the City of Brotherly Love, visit these top 10 family friendly attractions. A Philadelphia Carriage Ride takes you back in time. You will explore the Independence National Historic, District, Society Hill, the Betsy Ross House and other landmarks just as you would have during colonial times. The knowledgeable guide provides interesting stories about the people and events that shaped Philadelphia. Independence Hall is where members of the Continental Congress signed the Declaration of Independence, the Articles of Confederation and the Constitution. Its tower is where the Liberty Bell first rang out. Park rangers share interesting stories during the daily tours. Historic artifacts include Washington’s chair and the inkwell used to sign the Declaration. The Liberty Bell once hung and rang in the tower of Independence Hall. Today, it is housed in its own glass pavilion for easier viewing. Learn the stories behind this beloved symbol of freedom from a series of interactive exhibits. You can see the inscription that has inspired generations. Adventure Aquarium is a world-class institution featuring over 8,000 animals. Its exhibits mimic semi-aquatic as well as fresh and salt-water environments. Marine creatures on display include sharks, sea turtles and crocodiles. Older children will enjoy the 4-D theater, and younger ones can touch a variety of sea creatures. The Franklin Institute of Science is one of the oldest science museums in the country. It has three floors of hands-on, interactive exhibits and displays. Children can explore their bodies, the planet and the cosmos. Fascinating topics include electricity and types of earthly and interstellar travel. The Academy of Natural Science is the oldest institution of its kind in the Western Hemisphere. It features a wide array of dinosaur skeletons and other primordial fossils. The animal center is home to more than 100 mammals, birds and reptiles. The interactive displays will amaze children while they learn. The Philadelphia Zoo is a highly regarded institution. Occupying more than 40 acres, it houses over 1,300 animals. Many of them are rare or endangered in their natural habitats. There is also a children’s petting zoo, paddleboats on the lake and a carousel as well as an interactive and educational exhibits and displays. Ride the Ducks and explore the city from the land and water. The tour takes you by many of the city’s historic landmarks. The specially designed amphibious vehicle then launches into the Delaware River for a unique water-level view of the cityscape. Along the way, the skipper provides an entertaining and informative narration. A QVC Studio Tour is a behind-the-scenes look at how this well-known shopping channel produces its 24-hour programming. You will see the high-tech broadcast facility. The tour reveals how QVC finds and tests the products that it ultimately sells on the air. Guests can watch a live broadcast from the observation deck.